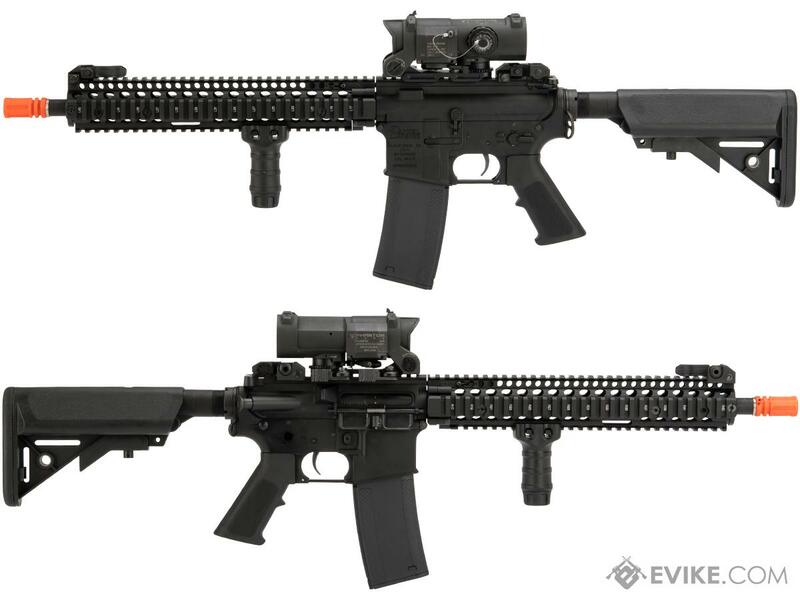 A pre-order item is an up coming new product, or an item in the process of being restocked to the Evike.com platform by it's manufacturer.By pre-ordering an item, you will have reserved the inventory availability to receive it before the goods arrive. All pre-order items are eligible for a full refund at any time during the waiting period; simply call or drop us an email with the order # and the pre-order item you would like to cancel for an immediate refund. 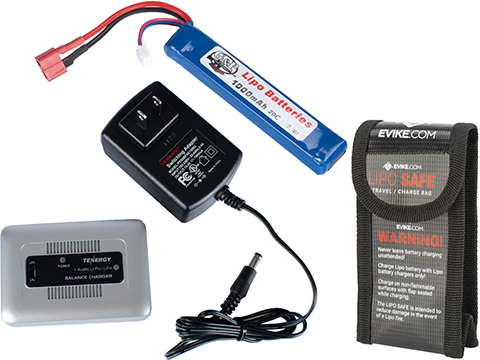 Due to circumstances such as US customs inspection, factory delays and other situations out of our control, all ETAs (estimated time of arrival) are estimated to our best ability and are subject to change. 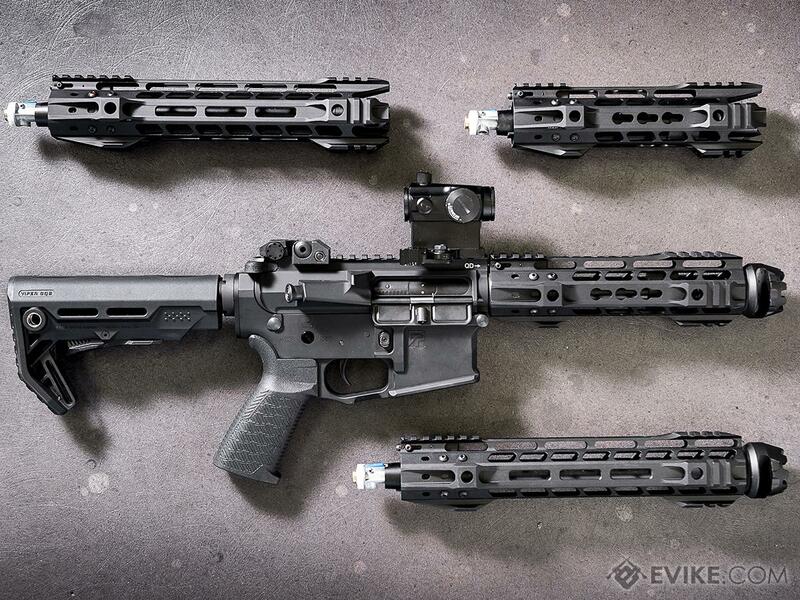 The G&P Transformer system is the next evolution in compact, modular AEGs. 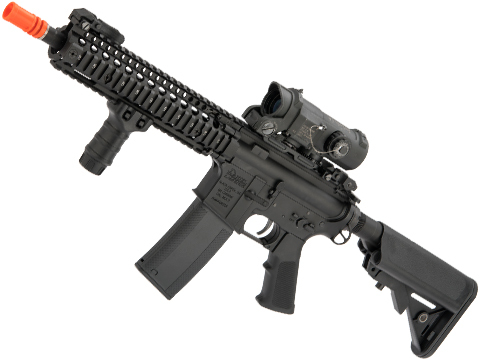 Designed with the Airsofter who fills the role of a sniper or assaulter, the Transformer system allows Airsofters to easily transport an additional primary weapon without the additional bulk of carrying a full size AEG rifle. 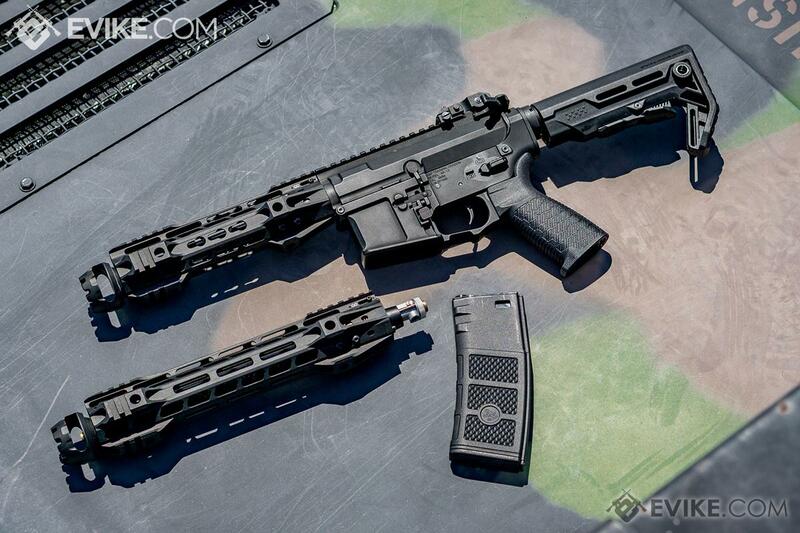 The Transformer system redesigns the front assembly of the traditional M4 AEG. 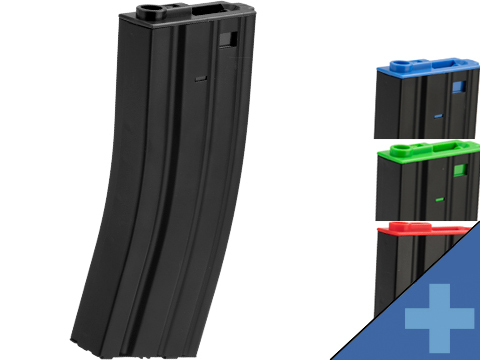 Utilizing the AUG style of hop up, the Transformer AEG easily breaks down into two separate components, separating the receiver from the front assembly. 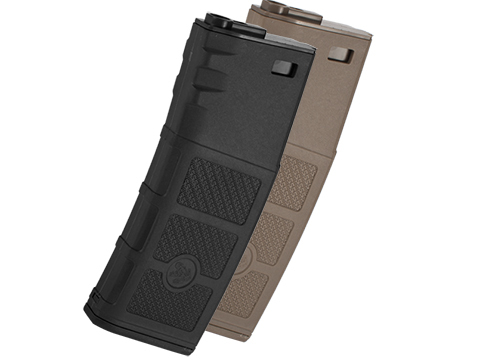 Simply pull the locking tab forward and unscrew. 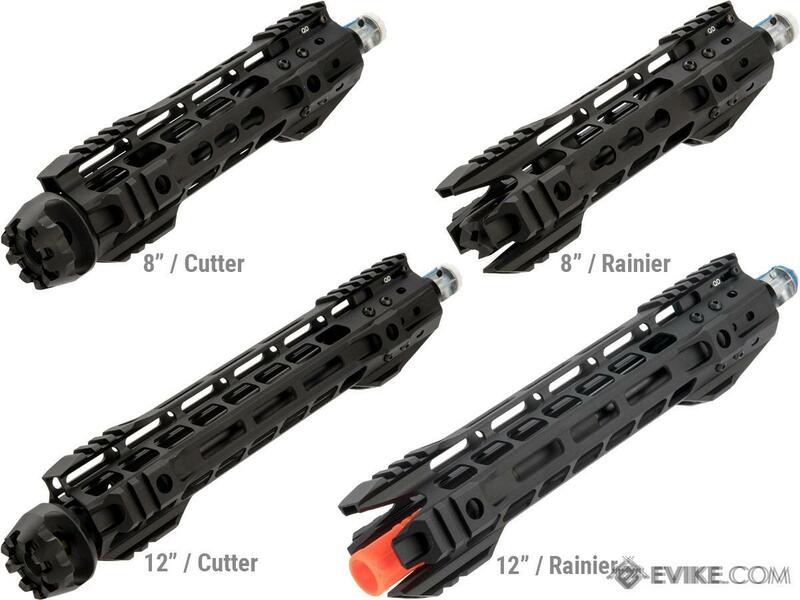 This design not only makes it easy to change front assemblies to different lengths, it also allows Airsofters to carry a PDW size AEG in their bag, for easy deployment in the field. 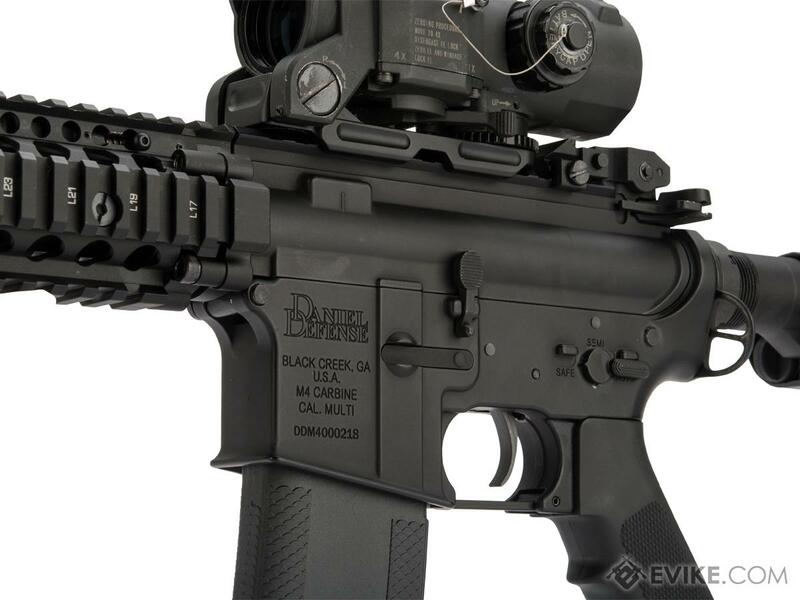 This G&P Transformer features their new i5 gearbox within a licensed lower receiver with stamped Daniel Defense markings. While the traditional version 2 gearbox has for the most part remained unchanged since its inception, small changes have occurred over time, usually as the result of popular user modifications that were then made into factory available options. 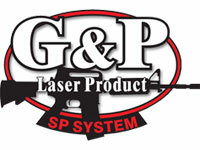 With input from players and vendors, G&P has released their newest iteration of the Version 2 Gearbox, the G&P i5. 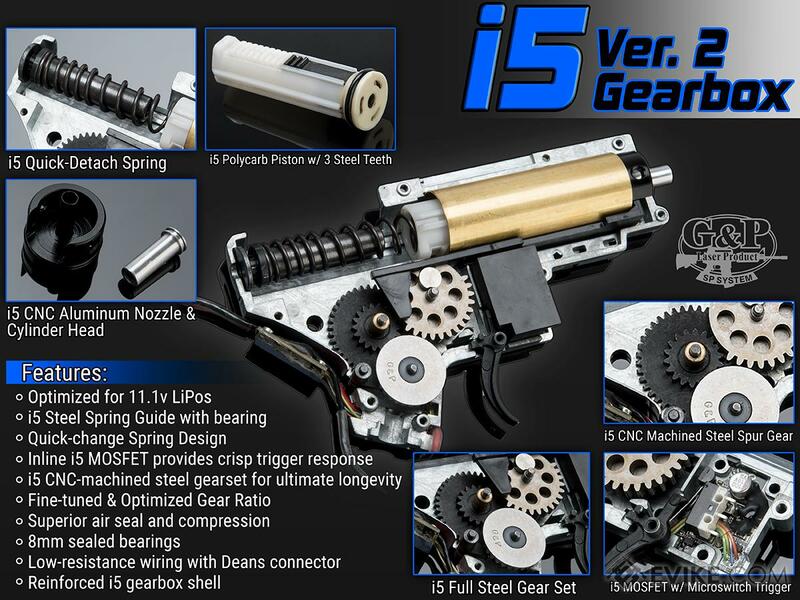 While internally similar to their tried and true V2 gearbox, the i5 comes from the factory with a plethora of upgraded components. The i5 is powered by an M140 motor and features 8mm bearings for more robust performance and reliability. 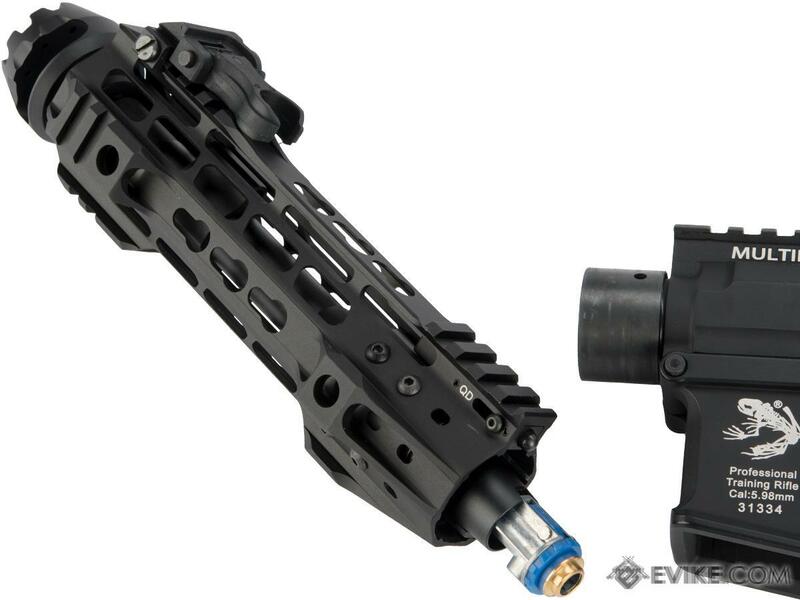 The top-down QD spring guide makes spring changes far easier, requiring only the removal of the upper receiver and buffer tube screw. No gearbox disassembly required. 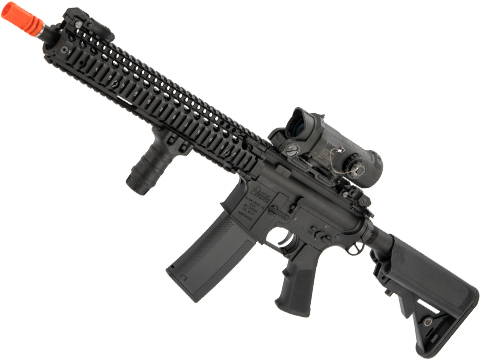 *Disclaimer: Daniel Defense Transformer series are only compatible with other Daniel Defense assemblies; not compatible with standard G&P Transformer assemblies. 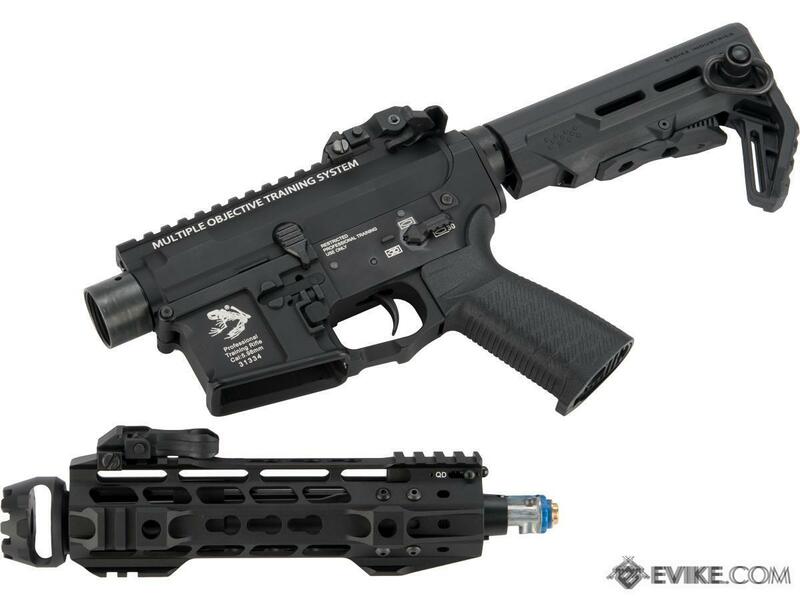 Discuss about Pre-Order ETA May 2019 Daniel Defense Transformer M4 Airsoft AEG with QD Front Assembly (Length: 12 Rail) with your friends and fellow Evike.com shoppers! By adding a pre-order item to your shopping cart, you will guarantee yourself to have the item reserved before they are offered as an in-stock item. Often, you will also save on shipping while not risking a rate item being sold out before you have a chance to buy it. 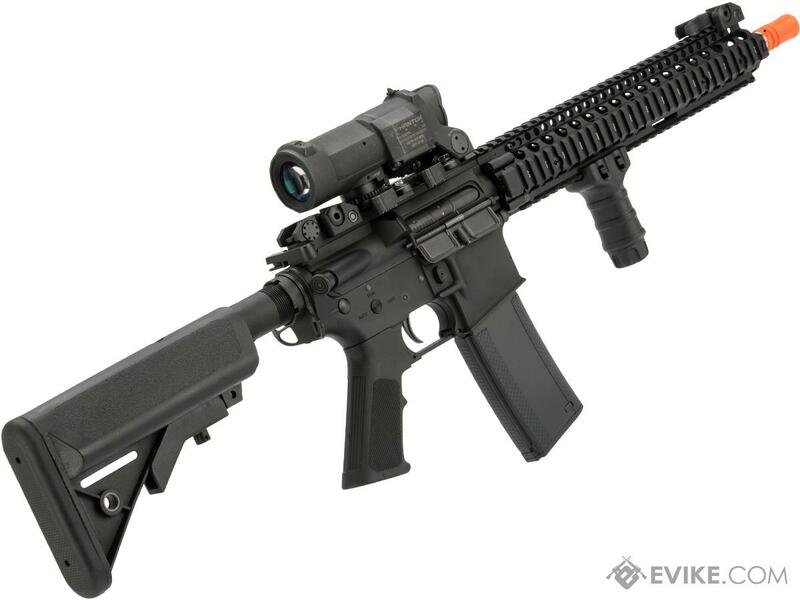 Being the largest Airsoft distributor in the America continent, Evike.com is the gateway for many exciting items entering the Airsoft world. All pre-order items are tagged with our best estimate on arrival times factoring in manufacture delay, us custom examinations and other factorys to the best of our ability. The goods on pre-order generally arrive before they are past due or on-time 99% of the time. All pre-order items are processed subject to item availability on a first-come, first serve basis. All orders and payments are processed at the time of payment. Buyer reserve the rights to a full refund on any pending pre-order items at any time.